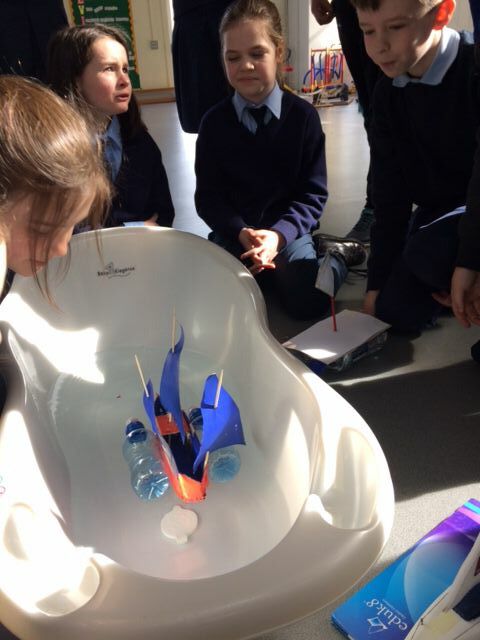 The children have been thinking like Engineers this year both in our Design and Make Science Activities and during Engineer’s Week in March 2017. 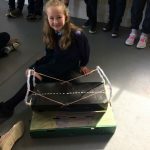 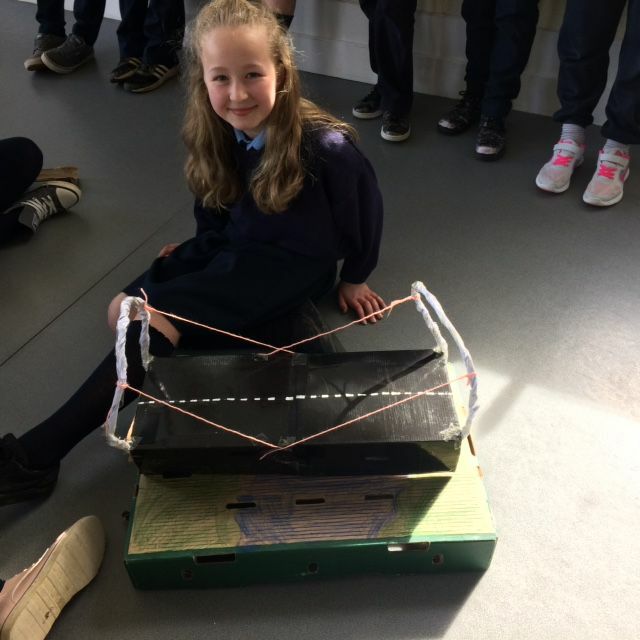 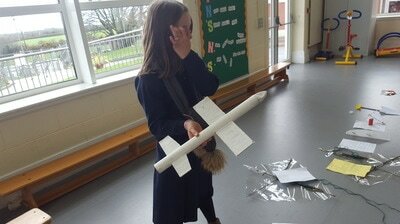 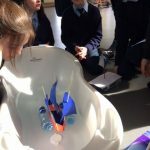 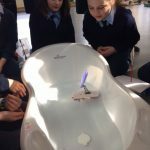 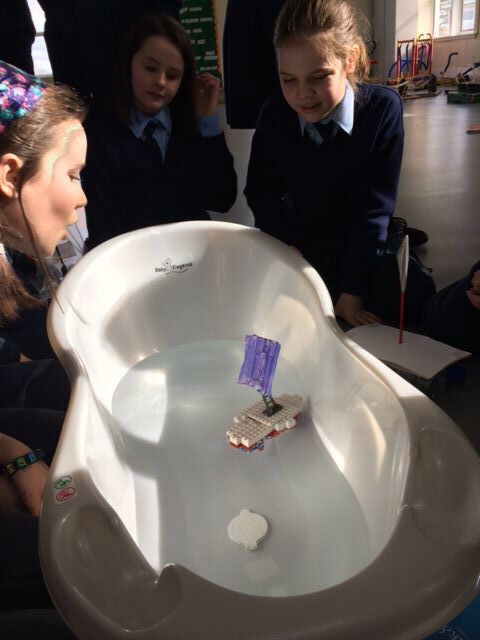 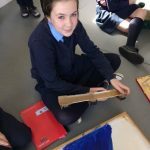 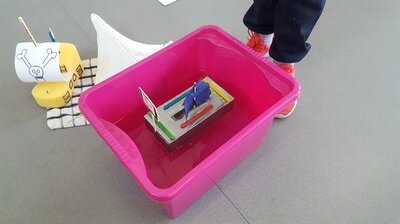 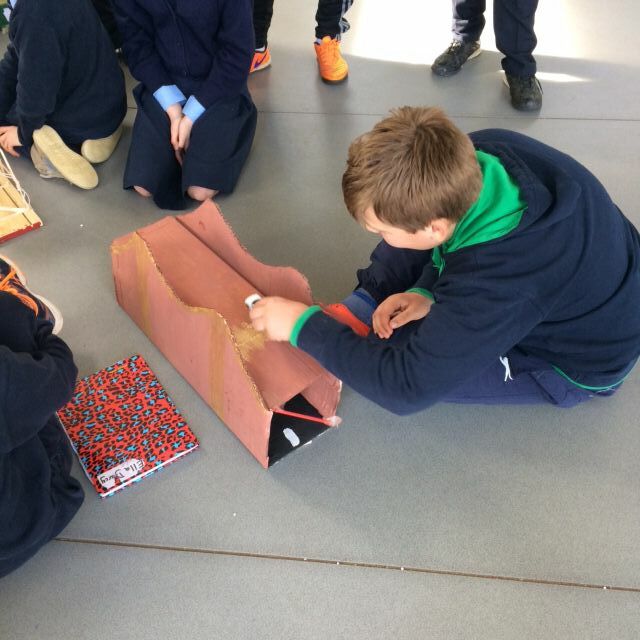 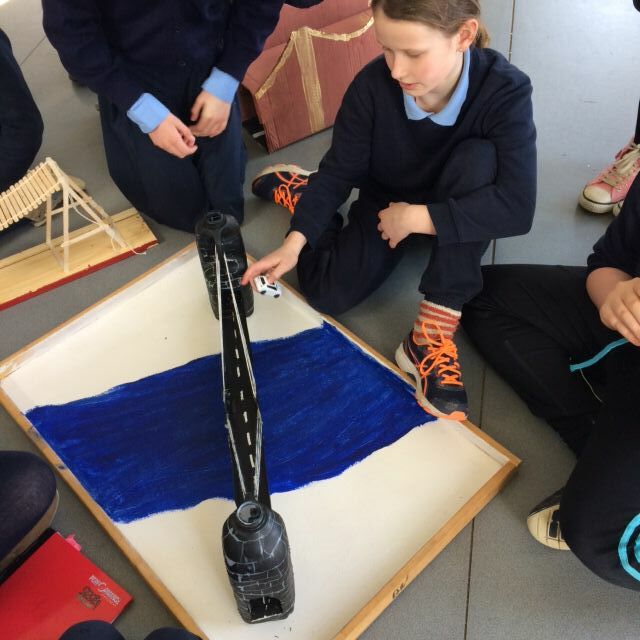 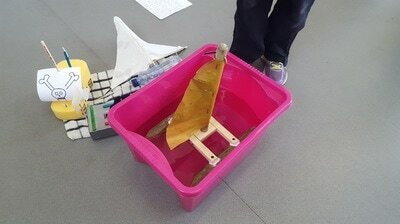 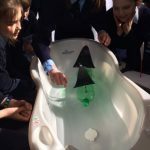 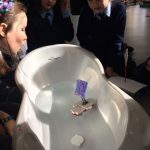 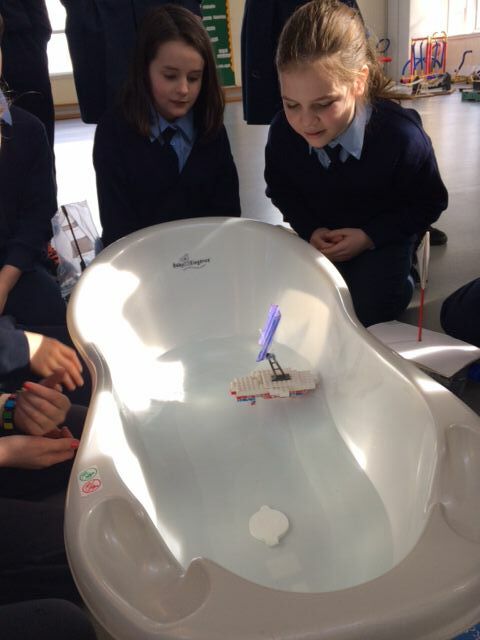 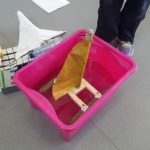 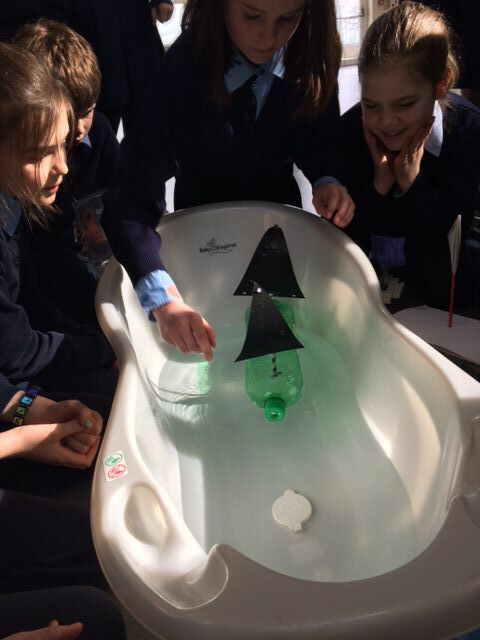 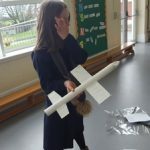 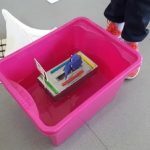 Fourth and Fifth Classes designed and made boats, planes and bridges this year and tested them to check our designs worked. 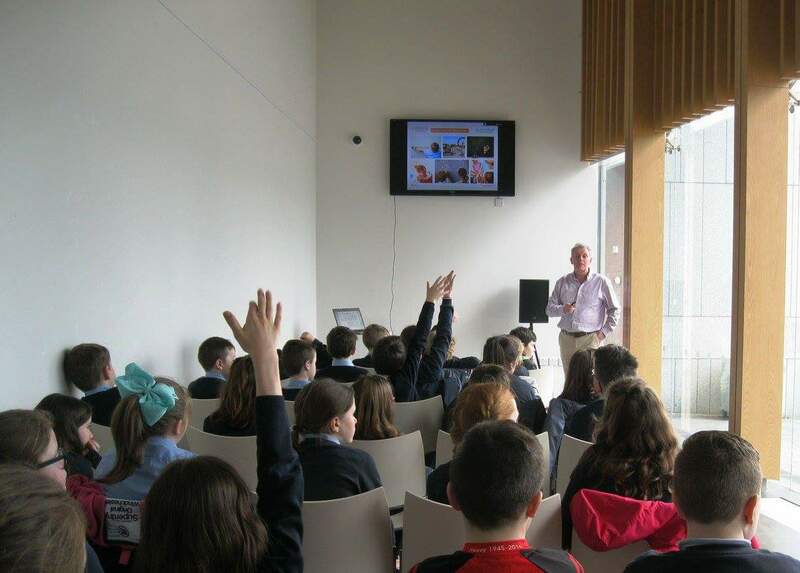 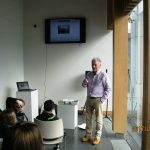 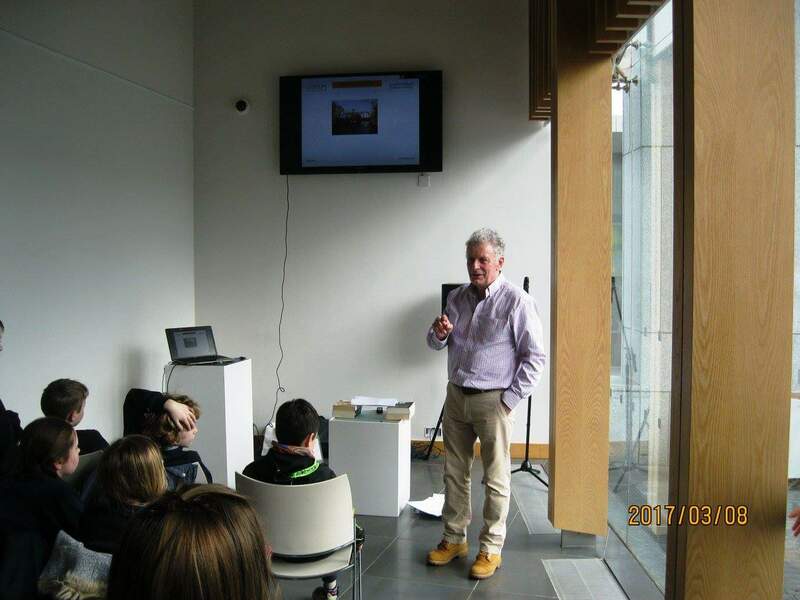 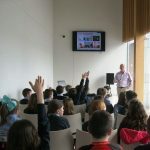 Fourth class also attended an Engineer’s Week Event in Gorey Library where they met engineer Noel O’ Driscoll, Senior Engineer with Wexford County Council. 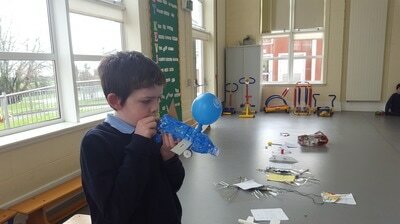 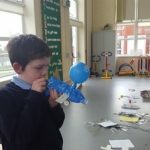 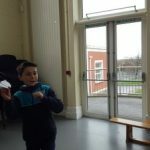 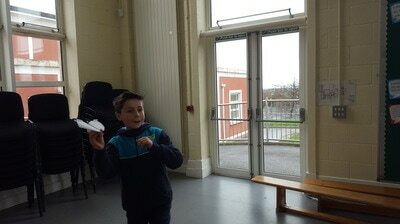 Noel explained what Engineering is, what Engineers do, showed us all sorts of practical applications of engineering and answered lots of questions from 4th class! 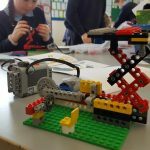 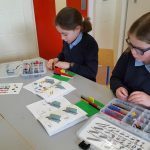 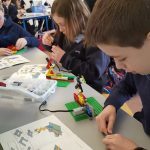 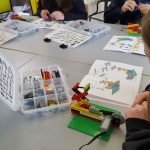 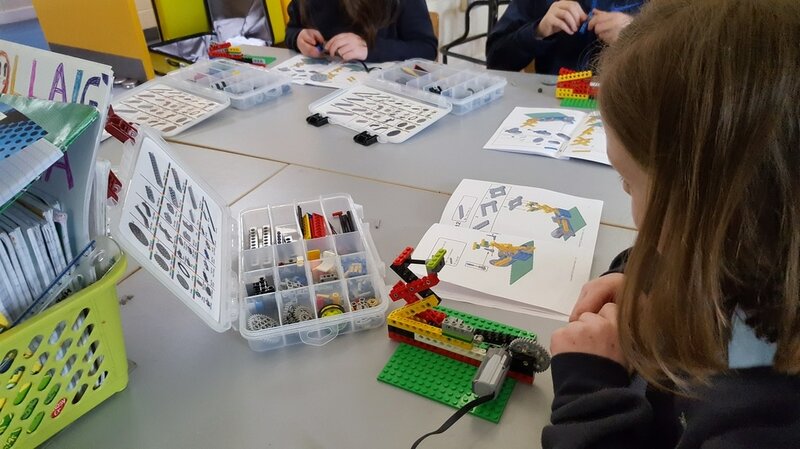 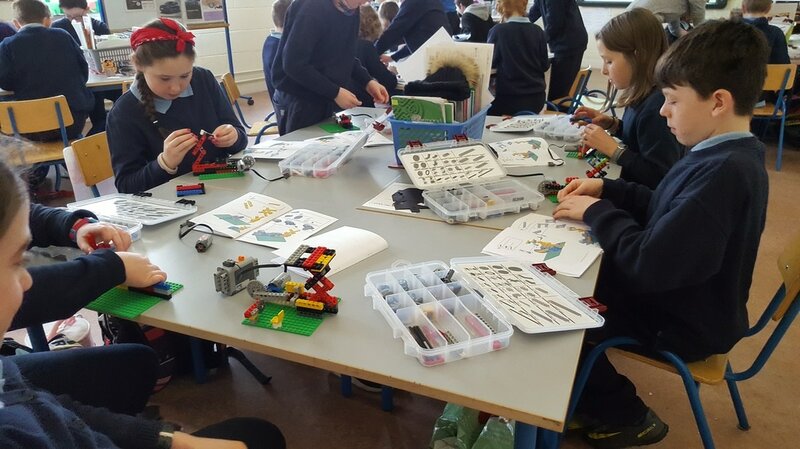 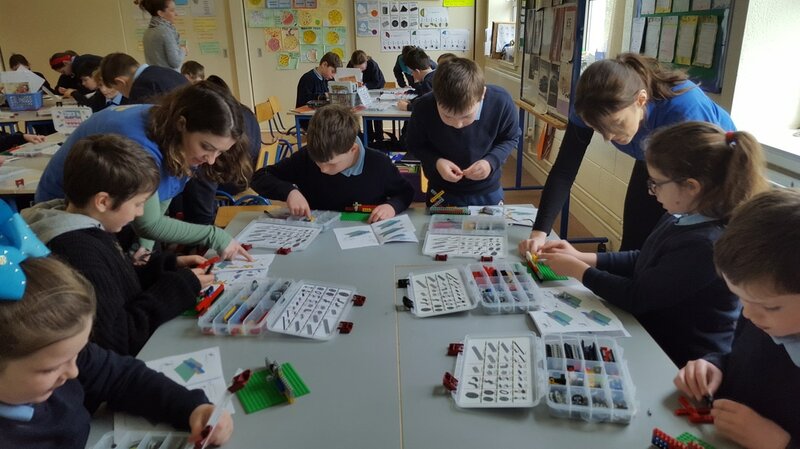 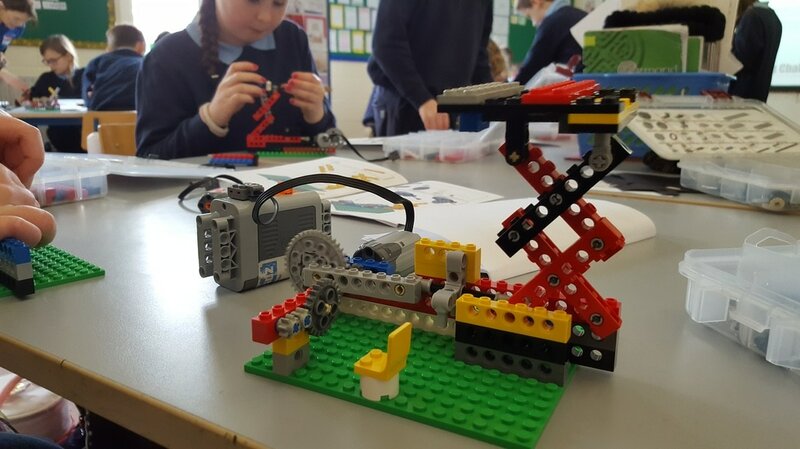 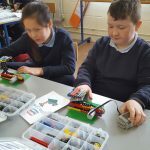 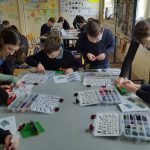 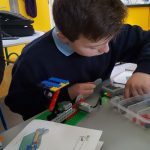 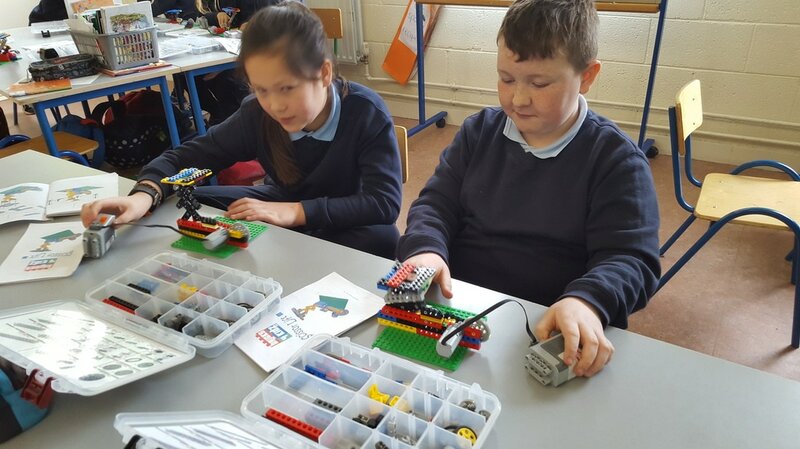 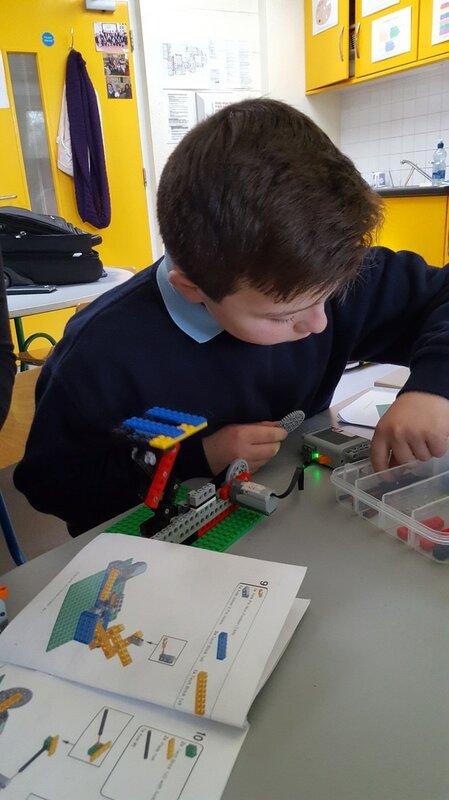 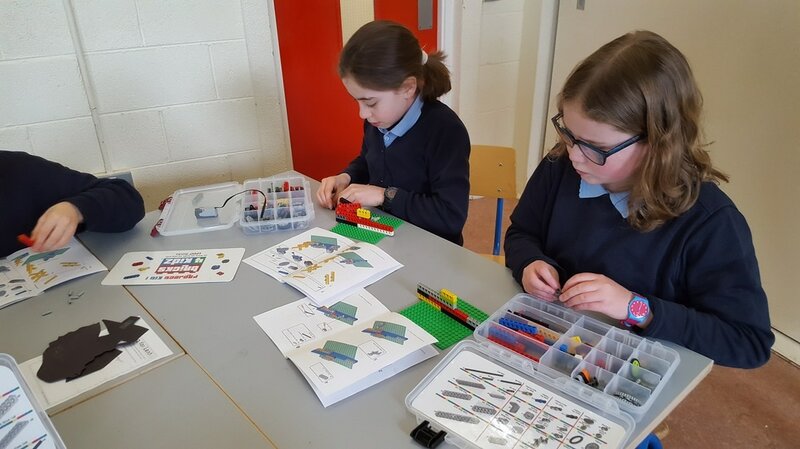 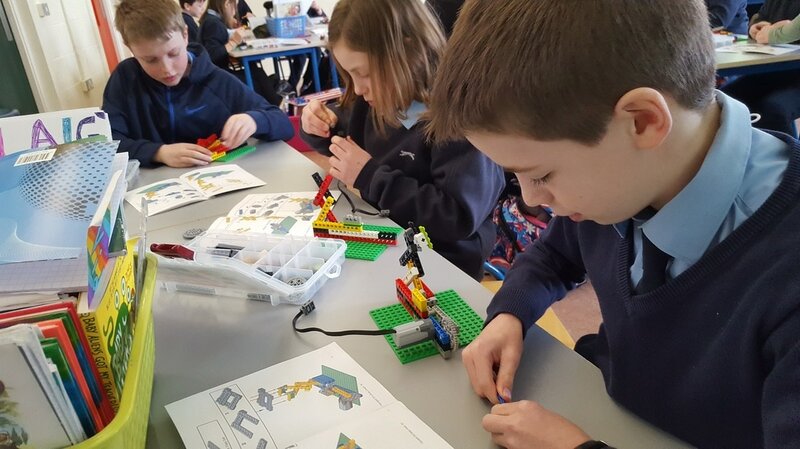 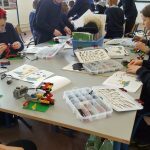 During Engineers Week, after discussing all the different types of jobs Engineers can do, we had a visit from Bricks 4 Kids who explained to Fourth Class what a scissors lift is and asked them to create their own using their Lego Kits and motors.